Ashland is nestled at the base of the Ashland Watershed, the Watershed boasts a trail system of 50 miles that extends from the paved streets of Ashland to the alpine scenery at Mt. Ashland. The 15,000+ acre watershed offers numerous trails for hikers, trail runners, mountain bikers and equestrians as well as being home to many signature events that draw athletes from all over the country. Ashland’s running culture is thriving. Rogue Valley Runners serves as one of the many outfitters to all trail running needs, including knowledge of the trails and a weekly running group. By sharing the trail, runners, hikers and bikers can all enjoy the quiet beauty that Ashland’s trails have to offer. Trails in and around Ashland include Lithia Loop Trail, Grizzly Peak Trail, Oredson-Todd Wood Trails, Creek to Crest, White Rabbit and access to the Pacific Crest Trail that goes over Mt. Ashland summit. The Ashland Woodland Trails Association and other groups work hard to maintain these trails for the multi-user groups to enjoy. In Spring on 2016, the United States Forest Service approved a Master Trails Plan that included legalizing existing trails, new trails to be built and designating certain trails for certain user groups. 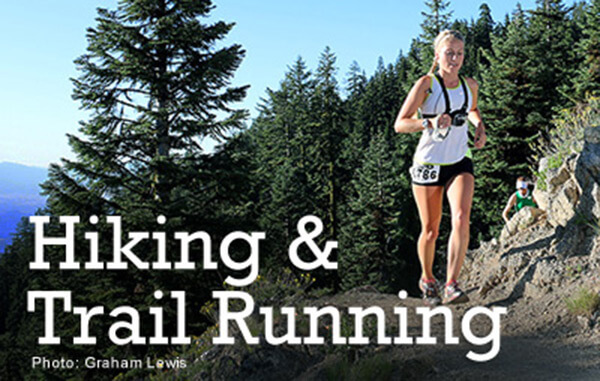 Spring, summer and fall also provide great weather in Ashland for trail running and hiking. The Ashland Map Guide provides all the details you need for hiking in and around Ashland. Click here to request an Ashland Map Guide.